One of the most common reasons windshield cracks occur is via small rocks or gravel ricocheting. One way to avoid rocks is to drive a safe distance from dump trucks or other vehicles which may carry small rocksSmall . Unfortunately little stones and rocks are everywhere and can easily hit your auto glass causing a small crack. Smal objects can also be flung from the tires by vehicles in front of you. One way to avoid the debris is to keep a safe distance between your car and the vehicle in front of you. Despite being careful, accidents can still occur. Hail can also cause auto glass damage. If you live in an area with occasional hail storms it can be helpful to pay attention to weather reports and avoid driving when it hails. So what should you do when you get a small chip or crack? It’s generally a good idea to get it repaired as fast as possible. 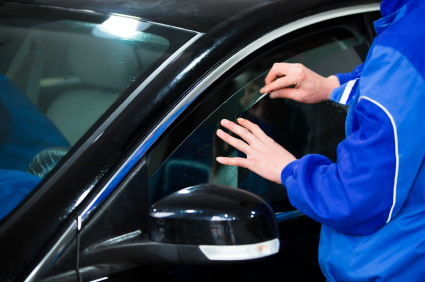 A small crack can easily expand leading to the entire windshield having to be replaced. Clear packing tape can be used to keep out debris. It’s also a good idea to avoid the car wash since this may aggravate the crack even further. If you have windshield damage you may want to contact your insurance provider in order to find out if it’s covered under your plan. Contact us if you have any questions about windshield and auto glass repair in the San Diego area.